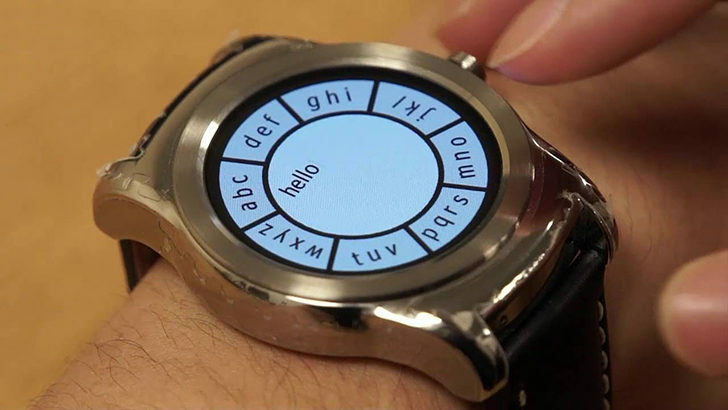 One of the reasons the Samsung Gear S2 was quite so interesting was its primary input method. Similar to the Apple Watch's 'crown' button, the bezel around the watch's screen could be used to navigate menus and perform other functions. Even now, it's one of the best input methods I've seen on a smartwatch. But if a research project from the University of St Andrews holds practical promise, similar interactions - really, even more powerful ones - could be implemented on Android Wear, and without any new hardware. WatchMI is a new technology being developed by computer scientists at St Andrews. The WatchMI software hooks into the smartwatch's accelerometer, gyro, and magnetometer sensors to detect pressure and twisting motions. The result is incredible, considering it requires no hardware modification to the watch itself: just watch the video to see it in action, as it's sort of incredible. The scientists responsible for this feat will present their full research at the MobileHCI 2016 conference in September. In the meantime, I really hope someone on the Android Wear team sees this.